The number of homes selling above list price is dropping, according to a recent Zillow report. 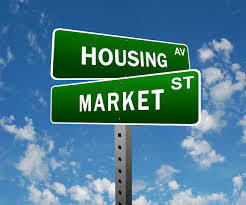 It seems that the current housing market is finally settling down. Not going down, just easing into a less frenetic pace. Yes, inventory shortages still plague the market, and interest rates are higher than they used to be, but houses are selling closer to their asking prices than they have in a while. According to Zillow, during the last six months of 2018, the number of homes selling above list price has fallen. For instance, in December, nationwide, only 19.4% of homes were sold above list price. This represented a three-year low. New Jersey’s housing inventory has yet to see much relief. The total number of single family homes for sale in the month of December 2018 fell 10.6% year-over-year to just 29,954. The average sale price increased barely by 1% from $381,135 to $384,792. In the cases of Monmouth County and Ocean County, inventory continued to crater by 18.6% to just 2,161 single family homes for sale in Monmouth County, while Ocean County fell by 7.8% to 3,535 for December. Notably, Zillow highlights not only did the share of homes that sold above list decline, but the average price above list dropped, too. Those homes selling above list did so by an average premium of $5,800, according to the Zillow report.